- Knitting basics (casting on, knit & purl stitches, yarn overs, binding off). 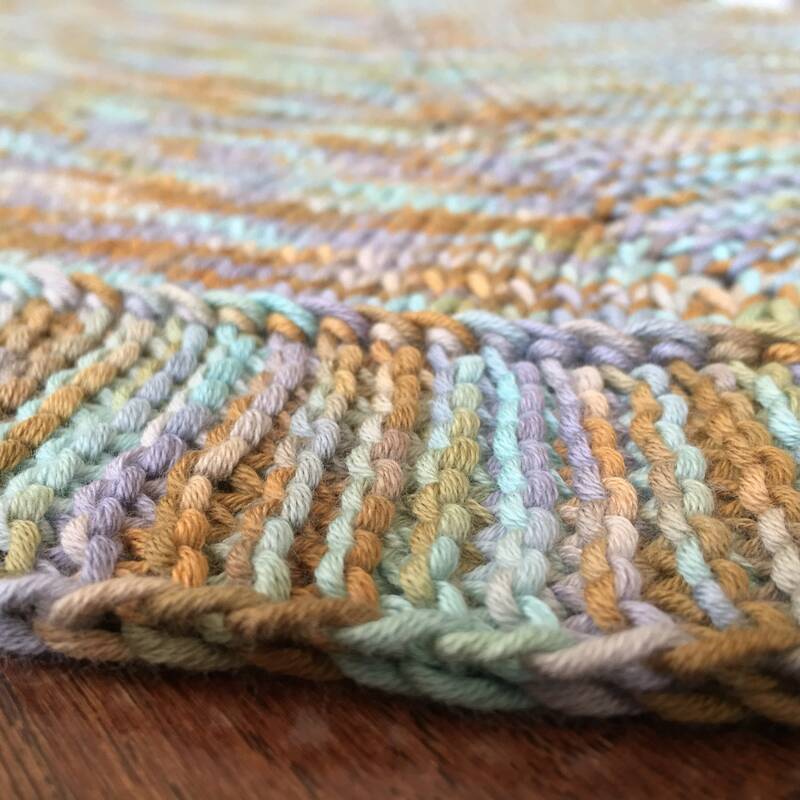 Online tutorial/reference for applied border is embedded within the pattern. 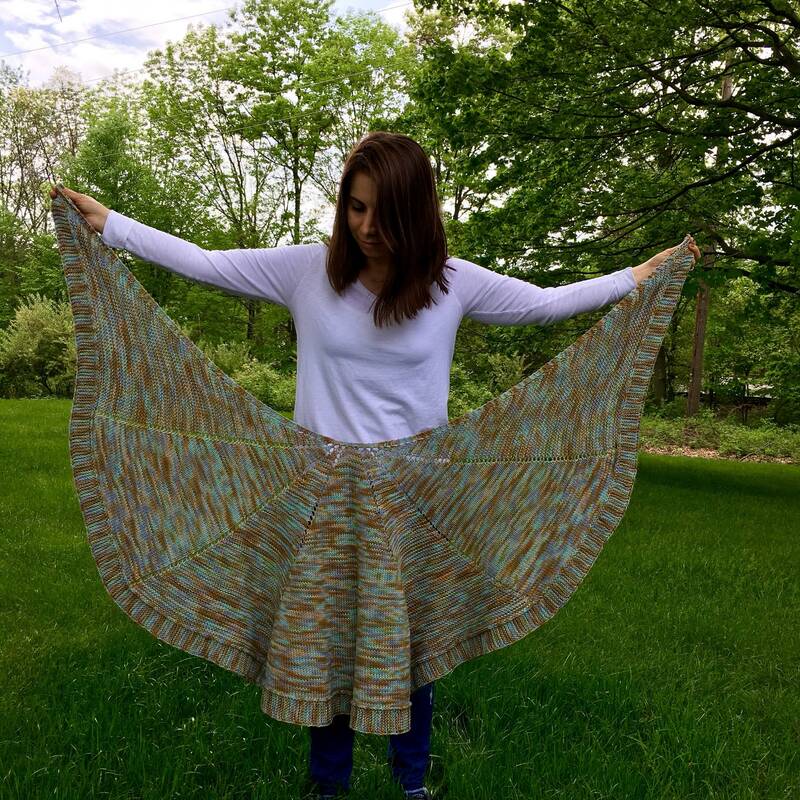 When I designed this piece, I envisioned wearing it at sunset at my happy place — the beach. I was inspired by the ocean breeze, the sand in my toes and the briskness of the sea water that comes at dusk. 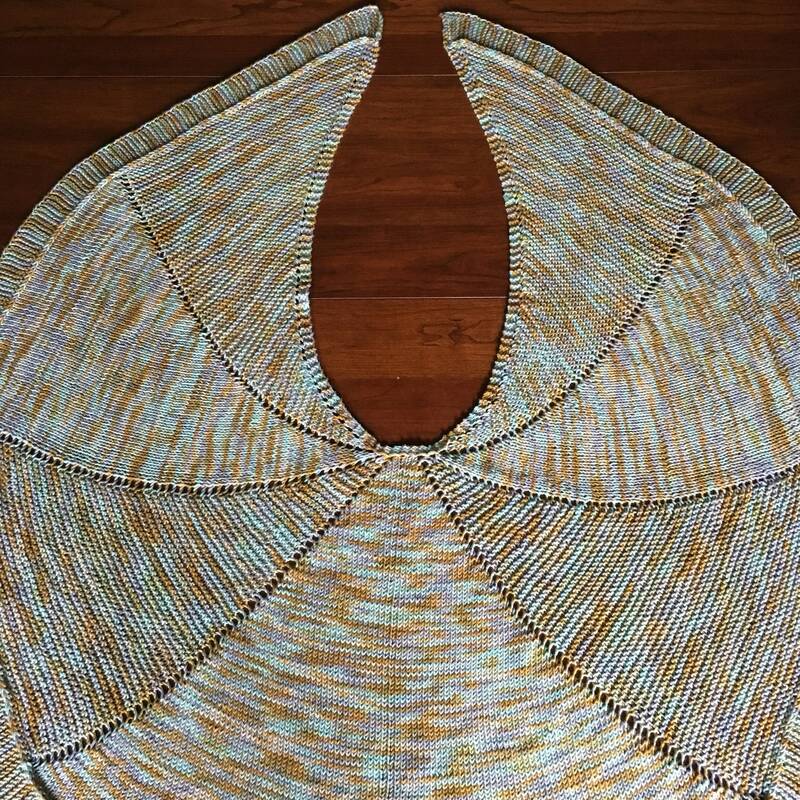 Do you see the rays of light in the design? 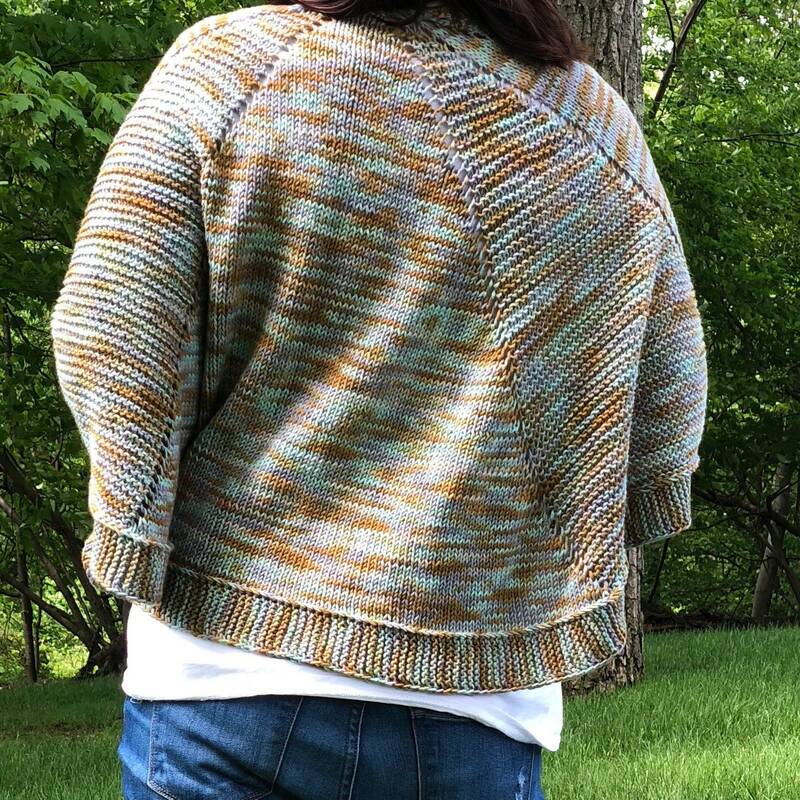 Tramonto means sunset in Italian and since I used BettaKnit cotton yarn for the prototype (an Italian yarn company), I thought it was the perfect name. 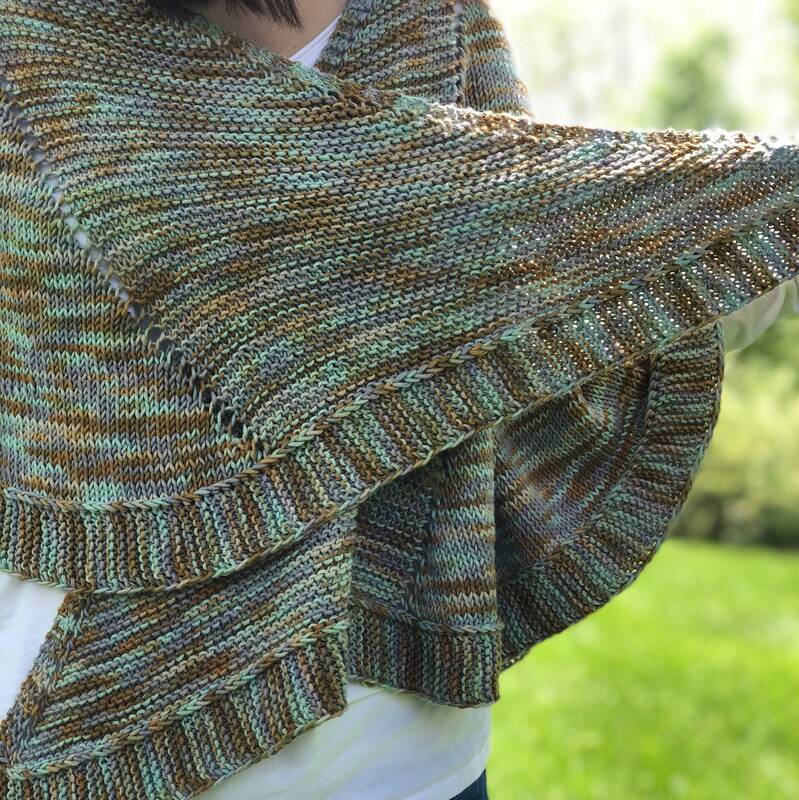 I wanted to create a simple, but visually appealing piece, with a shape that would stay on your shoulders without having to fiddle with it to get it just right. 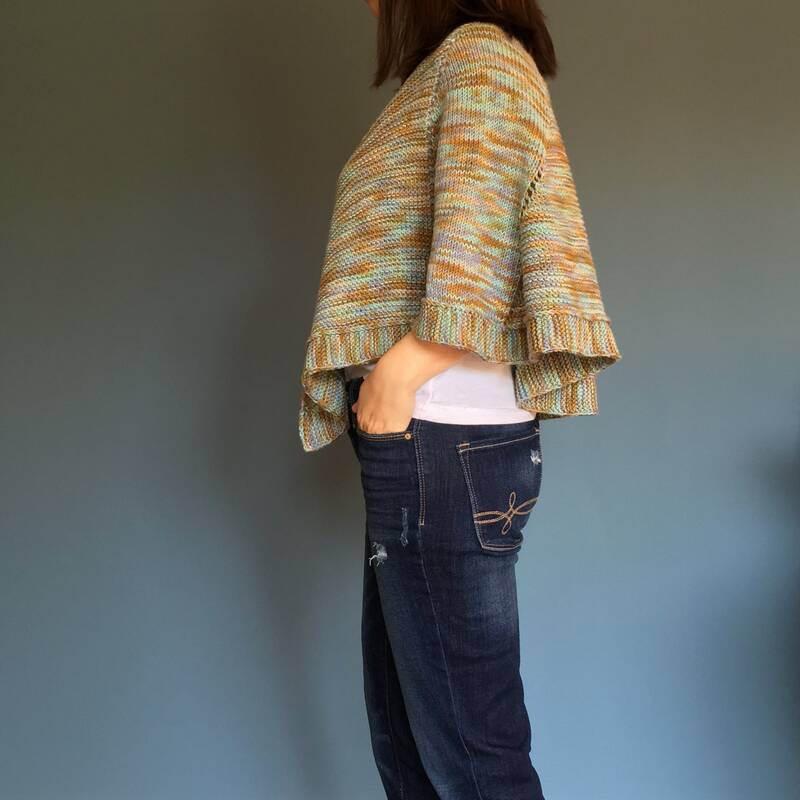 Wear it open in the front to create a flow-y look or pinned to the side with your favorite shawl pin. 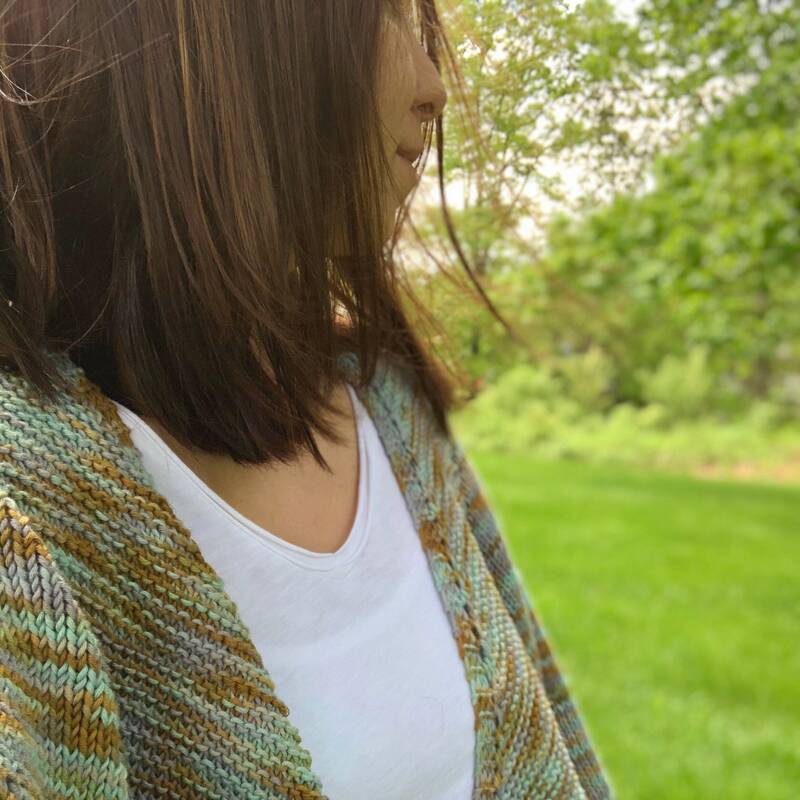 Make it in one solid color or for more visual interest, consider a self striping or hand dyed yarn — the color options are endless! Easily adaptable for a variety of yarn weights (simply go up or down and adjust your needle size accordingly), this original version was worked up in a DK weight cotton yarn. Happy knitting! This pattern features standard knitting terms, extensive pattern notes and a row/stitch tracker to keep you organized as you work. It is intended for those familiar with the basics of knitting and thus, not meant to be a tutorial. 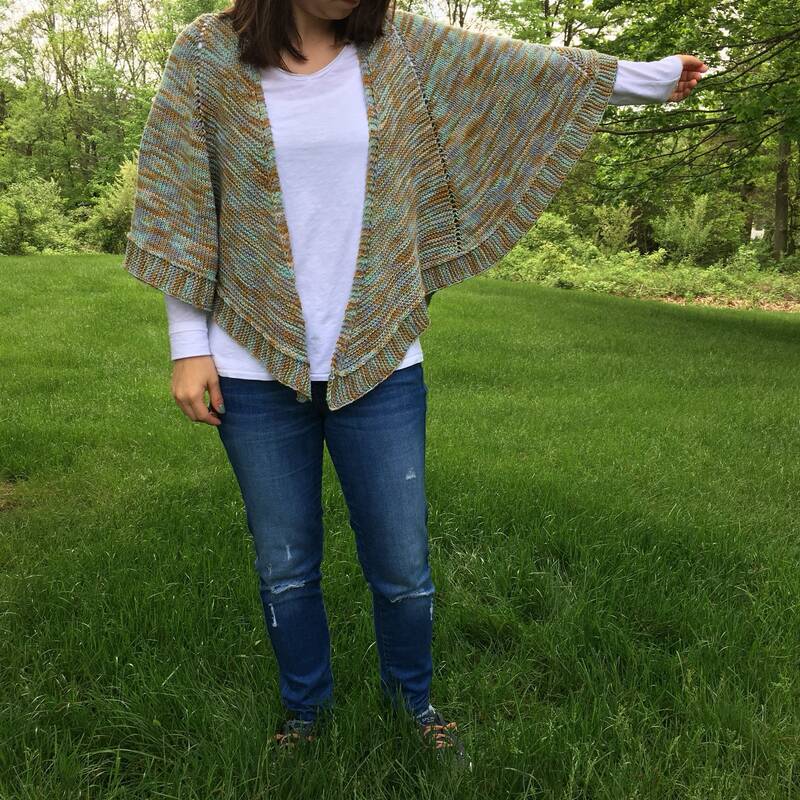 I would love to see your in-progress and finished TRAMONTO Wrap on Instagram. 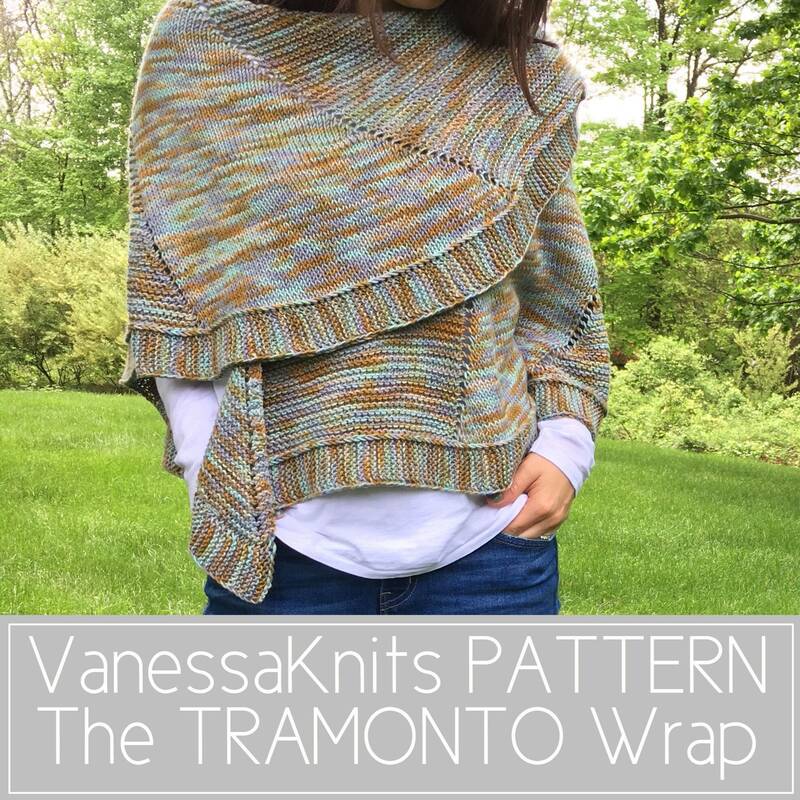 Tag @vanessaknits #vanessaknits and #tramontowrap so I can see your unique work — I may even feature your photos! If you have any questions, please feel free to email me at vanessaknits [!at] gmail.com.